We teach our children using a variety of teaching and learning styles to use language as effectively as they can in a wide variety of situations, as detailed in the revised framework for english. The children will be introduced to a range of fiction and non-fiction texts, such as stories, plays and poetry. English is often taught through other curriculm subjects. Our children will be encouraged to read widely, but also make informed choices about the types of books that they enjoy reading to maximize the pleasure that they gain from reading. Our aim is that all our pupils will be able to: Read fluently, expressively and with a high level of understanding. Read books with enjoyment and evaluate and justify their preferences for selecting particular books to read. Write for different audiences, a variety of puposes and develop their ideas in a creative and imaginative way using a rich vocabulary. 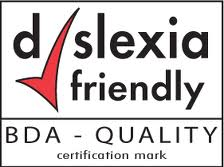 Have a fluent, legible and joined handwriting style. Understand and use their knowledge of phonics and spelling to read and spell accurately, using a strategy that suits their style of learning. Plan, draft and revise their own writing; both individually and with a response partner and identify the benefits of doing this. Demonstrate the use of correct technical vocabulary through which to understand and discuss both their reading and writing. Through reading and writing, develop their individuality and critical awareness. In Key Stage 1 we use ‘Letters and Sounds’ to teach phonics. 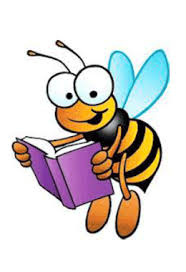 To support the development of reading, we have three main reading schemes, these are: Rigby Star, Oxford Reading Tree and Collins Big Cat. It is our aim that all children from Year 1 to Year 6 have timetabled access to the library once a week. With the assistance of the Librarian, the children can borrow a book from the expanding fiction or non-fiction collection to read and be returned after a fortnight. The computerised system can be accessed from classrooms should children or teachers need to locate specific texts. The Library is a useful research tool where children can scan and take notes from books, in a quiet space to later use in their lessons. 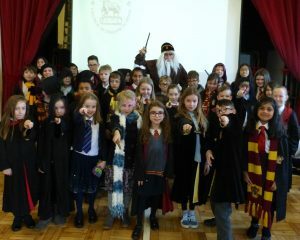 Throughout the year the school promotes reading through links with Winton Library and the World Book Day. We encourage membership of the local library and participation in the annual summer reading challenge. We aim to develop a positive attitude towards maths and to equip our children with the skills, knowledge and understanding to apply maths to the world around them. We are adopting the approach to teaching as recommended by the revised framework for maths and this is based on these principles: A dedicated maths lesson every day lasting approximately 45-60 minutes. Direct teaching and interactive oral work with individuals, groups or the whole class. An emphasis on mental calculations, encouraging children to explain their methods and reasoning at the beginning and end of the lesson. Guided group work where the children are able to work individually, in pairs and as groups to develop and consolidate their learning. Most children work in mixed ability classes and work is differentiated according to ability to ensure that every child has a real sense of achievement. Review sessions at the end of the lesson, where the children are encouraged to evaluate share and reflect on their own learning. Recognising the different needs and learning styles of all children, providing activities and tasks appropriate for all learners. Through regular problem solving activities and investigations, the children experience a wide range of topics throughout the numeracy curriculum including; number, shape and space, measures and data handling. The children are encouraged to explore and develop many strategies for solving mental calculations, written methods and word problems, including looking at the counting systems developed in other cultures; shape and patterns in other religions and recognising where our own number system originates. At Moordown St John’s we believe that science is the subject which covers the children’s understanding of the world around them and how they interact with it and as such is vitally important to the child’s development. We aim that the children will become confident young scientists with a broad general knowledge of the subject but, more importantly, have the ability to design and critically evaluate their own experiments and investigations. At Moordown St John’s ICT is used as an integral part of teaching and learning across all curriculum subjects, as well as being a subject taught in its own right. 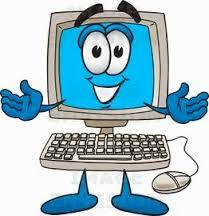 Our aim is that children develop independent ICT skills which they will be able to use to develop their own learning. Every classroom is equipped with a SMARTBOARD, which is used as a teaching tool, 16 laptops and a digital camera. There are also 32 Learnpads located in the library area that can be booked out whenever needed around the school. The children are taught a wide variety of progressive ICT skills, including word processing, control and monitoring, spreadsheets and PowerPoint, as well as using databases and coding. The children also have access to the Internet which is filtered and monitored by Broadband 4 at all times. 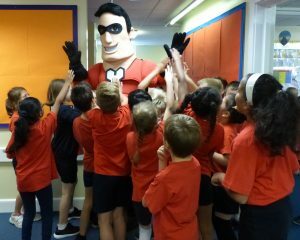 E-Safety is addressed across the school, with sessions for children, parents and staff held at least annually. 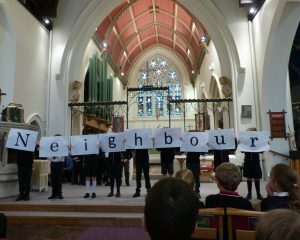 Religious Education at Moordown St. John’s CE Primary contributes broadly to the distinctive Christian nature of the school. In addition to teaching the main Christian festivals and rites of passage, we also study three of the main world religions; Hinduism, Islam and Judaism. Religious Education lessons are hands on, lively and fun with a strong cross-curricular approach incorporating art, music, drama and creative writing. We have a wide selection of Christian and world artefacts which the children are encouraged to touch and explore to enhance their learning. Trips include visits to the gurdwara, mosque and synagogue as well as visits to our own parish church. Click here to see some samples of our RE work. 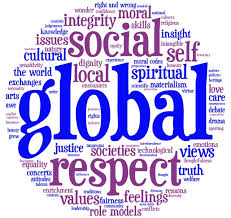 Spiritual, Moral, Social and Cultural Education encourages children to be well rounded in their outlook, preparing them for life in an ever-changing, multi-cultural society. It crosses over into every aspect of school life, and can be found in all areas of the curriculum. ‘SMSC’ ensures that bias due to gender, race, religion, colour, disability or nationality is not an issue, and positively seeks to expose children to as many different experiences of these things as is possible, without being contrived. In Maths, for example, the ‘social’ and ‘cultural’ aspects might include learning the ancient Arabic number system which is the root of ours today. In Geography it may be the comparison of pictures from a school in Nigeria alongside our own. Enhancing children’s spirituality can be as simple as dancing in the snow on a cold January afternoon. or watching a chick emerging from its egg! 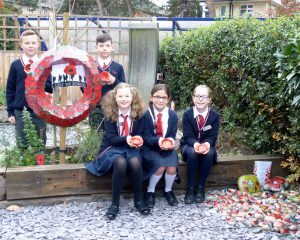 At Moordown St John’s we take a cross curricular approach to the delivery of the curriculum and we teach Art and Design alongside other subjects such as Literacy, Design and Technology, RE, History and Thinking Skills. 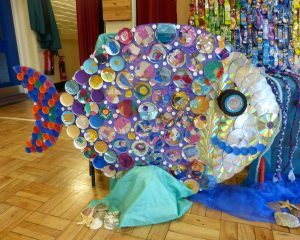 We have a ‘hands on’ approcah to teaching Art and Design and specific skills are taught, built on and developed throughout a child’s life at school. We aim to teach children to research the need for technology, investigate existing designs and plan and develop their own projects in a range of areas. Practical skills are acquired and built upon as the child progresses through their primary years. Examples of areas studied by the children are food design and preparation, joining materials, pneumatics, structures and stability, wheels and cams. D&T is sometimes taught in weekly sessions or in blocks over 2-3 days so that children have the time and resources available to follow a project through from the initial investigation to the finished product. D&T provides challenge and the chance to practise problem-solving and evaluations skills in both individual and group work. Children are provided with a range of resources and tools and are encouraged to discover for themselves the most effective way to complete their designs. Children enjoy music at Moordown St. John’s. All classes have a music lesson each week from a specialist music teacher who teaches music largely by developing pupils’ composition, performance and listening skills. We have a good instrumental music tuition programme, currently offering violin, drums, keyboard, guitar, ukulele, recorder and flute. Our choir, school orchestra and various ensembles often perform in school and at Church. 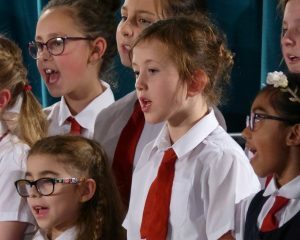 We believe music to be a vital part of educating the whole child and we regularly host recitals and workshops for children to experience quality music at first hand. Drama offers a unique opportunity for children of all ages to develop effective speaking and listening skills and fuel their imaginative writing. Through Drama children are able to formulate, clarify and express ideas. Taking part in drama gives them opportunities to adapt their speech to a wide range of audiences and to listen, understand and respond appropriately to others. The co-operation and interaction involved in Drama are of positive benefit to the development of the children’s social skills and we aim to offer opportunities for that interaction to take place. 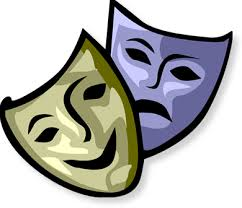 Drama can play an integral part in fostering the spiritual development of children within our school. We see this literally in our religious plays and assemblies and are aware of it when we see children planning together in an atmosphere of friendship and trust. We believe that, through Drama, children should be given the opportunity to develop and learn, without the fear of failure, in the true spirit of creative development. At Moordown St. John’s the emphasis is for the children to be practically involved and engaged in fieldwork, and work with maps and photographs, making the subject an avenue by which other areas of the curriculum can be brought to life, as well as developing geographical skills. 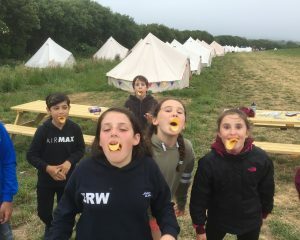 Year groups enjoy trips to Hengistbury Head, Turbary Common, Marwell Zoo, Waitrose, Poole Park and Moors Valley. 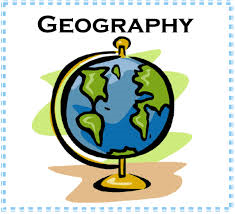 Visiting experts support the teaching of geography in the following topics Africa, Dance and Music from around the World, Fairtrade and Sustainability issues. In History we aim to give children an understanding of the past and how the effects of previous events have an impact on our l ives today. We give children a chance to have hands-on experience as much as possible. This includes a variety of trips and school-based activity days. We cover a range of historical periods from different areas of the world. 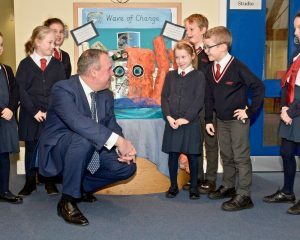 During their time at Moordown St. John’s the children will study ‘How they have grown since they were born’, Victorians, Florence Nightingale, the Great Fire of London, Celts, Ancient Egypt, Ancient Greeks, World War II and Tudors. At Moordown St. John’s we believe that it is vitally important that young children are able to participate in and access modern foreign languages. As a school we are supported by Bournemouth School who have Language College status. From September 2008 we have a specialist French teacher who teaches French throughout the school. She is also supported by a French language assistant. 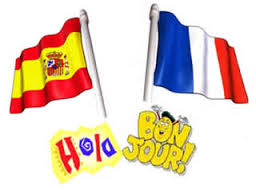 There is also a weekly French Club available for pupils at lunchtime. 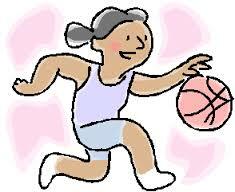 We aim to provide a fully inclusive and challenging PE curriculum. As well as covering gymnastics, dance, swimming, games and outdoor adventurous activities in our ‘taught’ curriculum time we offer a wide range of sports clubs for pupils to join. 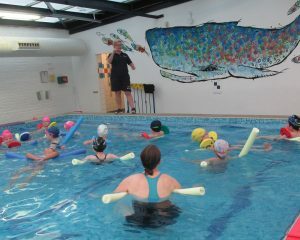 We place a high emphasis on physical activity and every child experiences two hours of dedicated curriculum time each week. We are proud to have attained the ‘Activemark Gold’ award and even prouder of our pupils’ sporting achievements both in school and when representing the school in a wide range of sports and games. 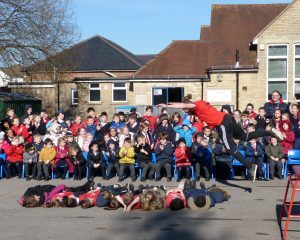 It is our aim at Moordown St. John’s not only to promote sport but to build team work and a healthy lifestyle which will last them a lifetime! Personal, Social, Health, Citizenship and Emotional Education is an integral part of everyday school life at Moordown St. John’s. Although PSHCEE is seen as a separate curriculum area, its teaching is promoted through all subject areas, through the ethos and spirituality of the school and through the positive relationships that are encouraged with all members of our community.